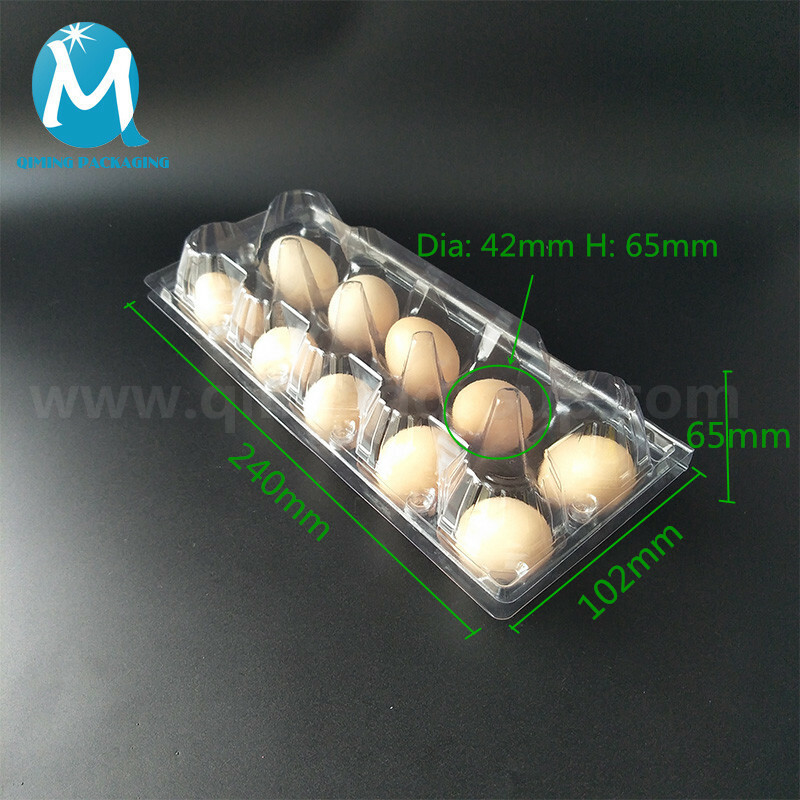 Qiming packaging plastic egg tray adopts 100% pure PVC material, non-toxic and tasteless, safe and environmentally friendly. Various types of egg trays are available —6 holes, 8 holes,10 holes,12 holes, 15 holes,20 holes and so on. It can be used in chicken farm, superation, and home storage and suitable for eggs daily turnover, long-distance transportation and Incubator use. It has many good features: Anti-shock, could be cleaned in high temperature, repeated use. 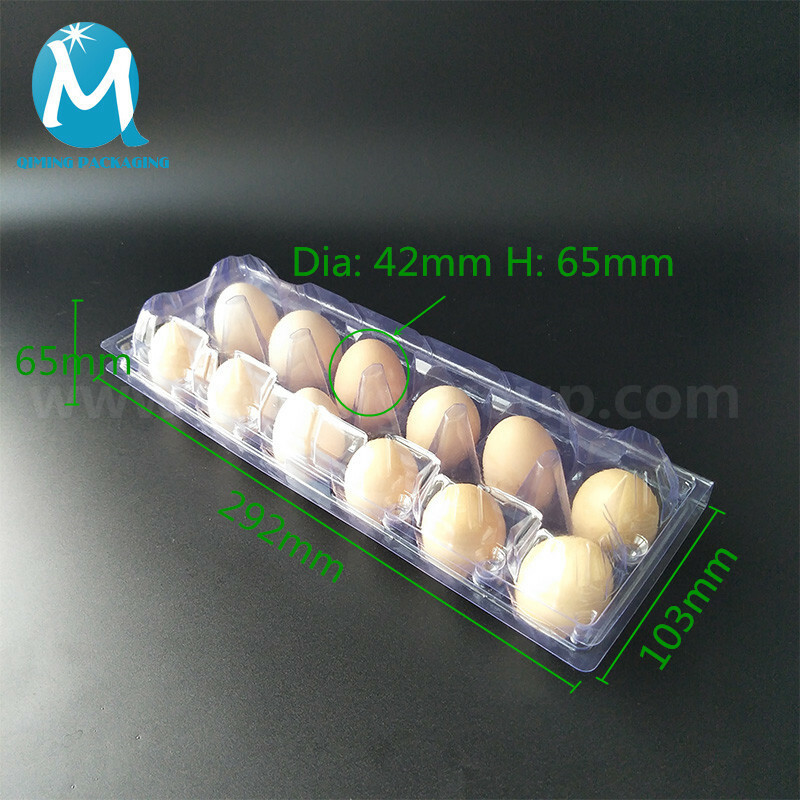 PVC clear plastic egg tray can protect egg from damage, prevents egg vibration. 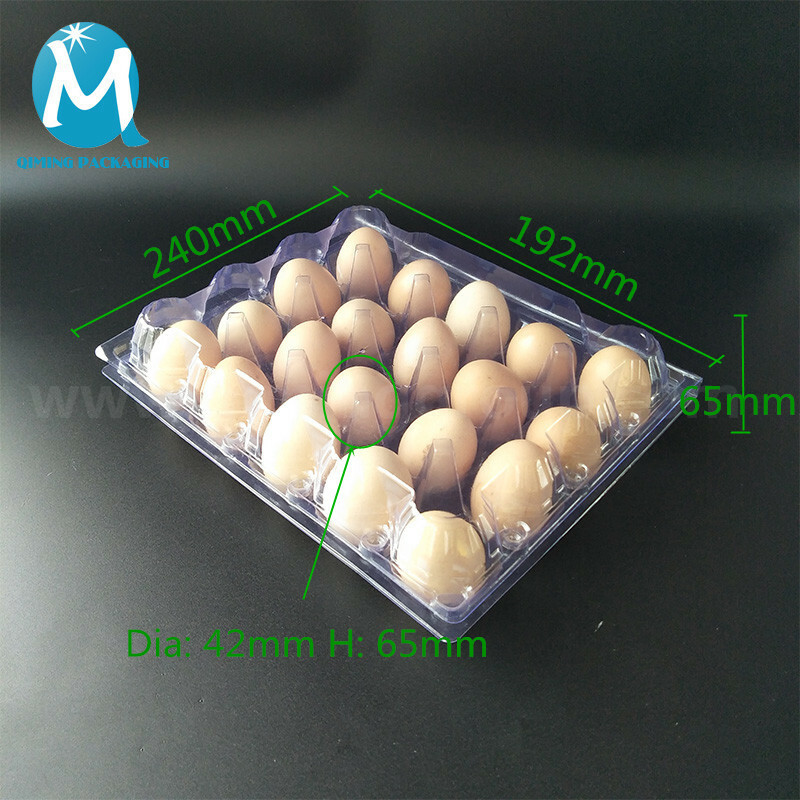 All the PVC egg tray are in stock, if you are interested in it, please feel free to contact us. 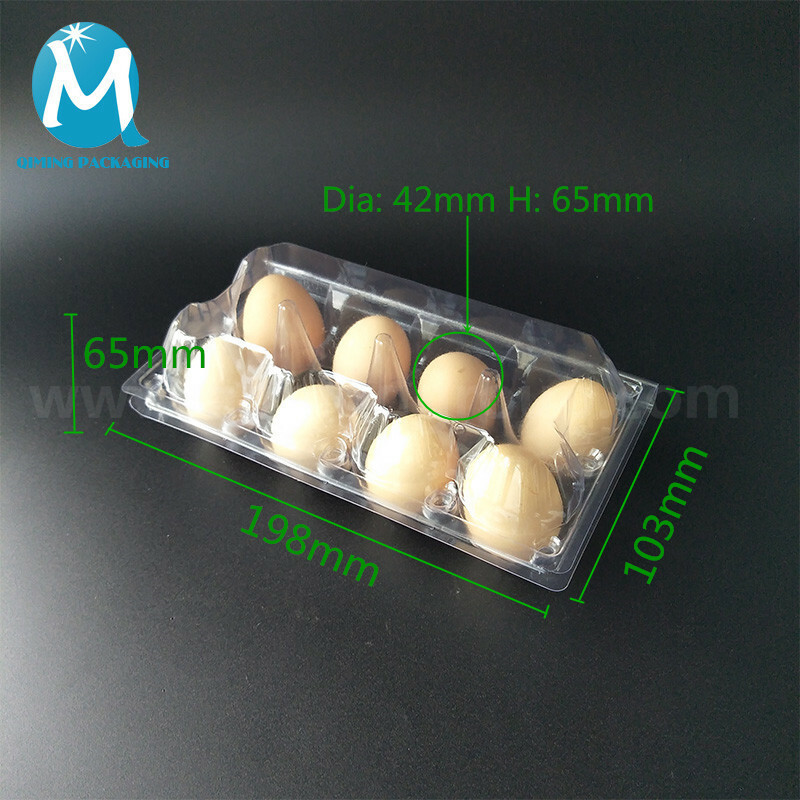 Qiming packaging muti-role PVC clear plastic egg tray has complete sizes, customized logo 。Free samples are available for quality and size check.Please contact our support team to arrange them today! Food-grade PVC raw materials: PVC raw materials, non-toxic and tasteless, safe and environmentally friendly, could be cleaned in high temperature, repeated use. Exquisite workmanship: smooth surface, no burrs,we could clearly see the eggsinside. 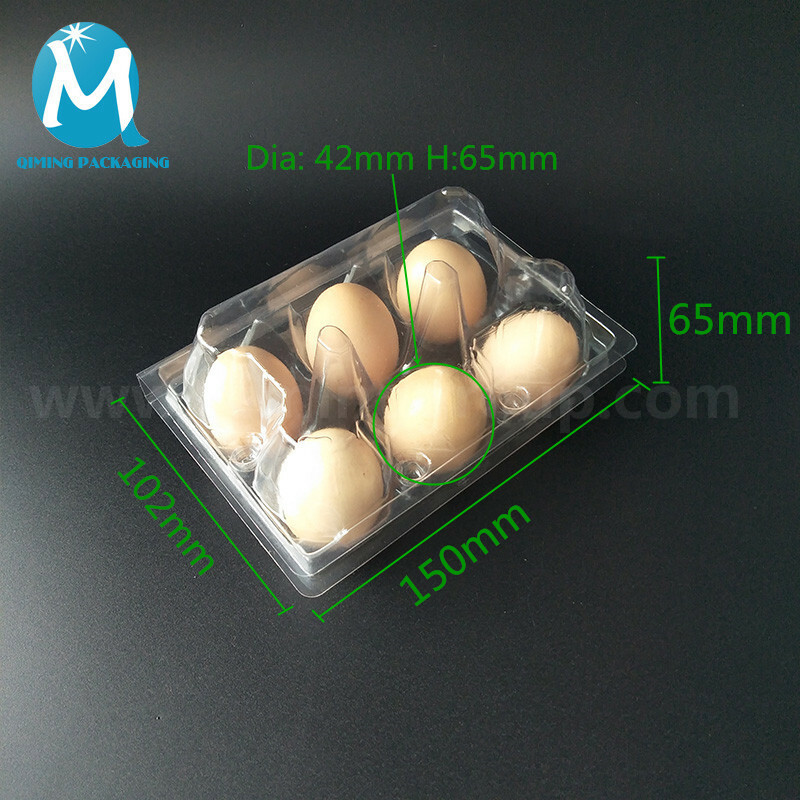 Anti-shock effect: Corrugated design prevents egg vibration and effectively protects eggs. Various dimensions: 6/8/12/15/20 holes in stock, other types also be customized. Suitable for eggs daily turnover, long-distance transportation and Incubator use. Can be stacked many layers, saving space and easy to take away.